Welcome to St Joseph’s Catholic Primary School. 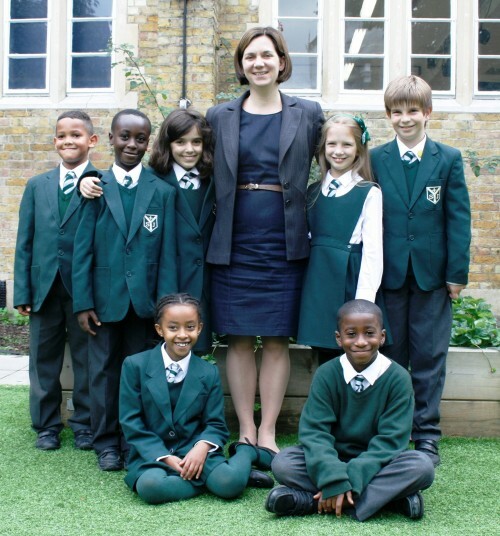 St Joseph’s Catholic Primary School is a top performing, outstanding (OFSTED, 2013) school in the heart of Kensington and Chelsea. We are a voluntary aided school with deep Catholic roots. Here, all that we do is rooted in our Catholic faith, as we bring to life the lessons that Jesus Christ taught us. Our vibrant, multi-cultural school is united by its faith and we encourage all members, children, staff, parents and governors to share, grow and flourish in faith and love. We celebrate the many different cultures under one roof. We aim to develop ‘the whole child’ and prepare them for future life by ensuring all of our children receive the excellent education and opportunities which they are entitled to. As well as being a community in itself, St Joseph’s is part of the larger Catholic community of St Mary’s Parish and St Thomas More Language College, both of which we have very close links with. We are proud of the fact that we are the parish school – this is an important role, as we are the ‘door to the parish’. St Joseph’s is a small school and this has the benefit of allowing the staff to get to know the children and families really well. This is part of the reason that we are so successful in ensuring all of our children consistently meet their ‘personal best’. We are particularly proud of Nursery and Reception classes (Early Foundation Stage), which help prepare our children for the rigours of more formal national curriculum learning. If you would like to find out more about us, I would highly recommend you make the time to visit by calling 0207 589 2438. I look forward to welcoming you and your family to St Joseph’s.